Patanjali Says Kimbho Release Was Test Run and Promises to Return, but What About the Data? Patanjali’s swadeshi movement has propelled it from a small Ayurvedic medicine-focused business to a multinational consumer goods manufacturer with annual revenue of over Rs. 10 crores (2016-17). Since its inception back in 2006, the company has diversified its operations to a variety of segments, marketing each and every one of its products with a subtle, yet noticeable, anti-Western sentiment. Late last month, Patanjali dipped its toes in the telecom segment and announced a partnership with state-owned telecom service provider Bharat Sanchar Nigam Limited (BSNL) to launch new Swadesh Samriddhi SIM cards. The co-branded SIM cards, which have initially been issued to Patanjali’s employees, offer a reasonable unlimited prepaid pack along with medical and life insurance for the holders. Speaking at the launch, Patanjali co-founder Baba Ramdev reiterated the company’s swadeshi sentiments and said that they only partnered with BSNL as it’s a swadeshi network. Just a few days later, the company launched another unlikely product – an instant messaging app called Kimbho – to take on the popular Facebook-owned messaging app WhatsApp. Yet again, the app was promoted as a ‘swadeshi messaging platform’ which was developed using ‘swadeshi techniques’. Ironically, the swadeshi techniques used to develop the app don’t quite match up to those of the Western rivals it’s trying to shut down. In our testing of the app, we discovered that none of the app’s basic features work as advertised; calls made using the app didn’t connect and none of the messages sent were delivered. Video calling on the Kimbho app just turned on the front camera and played the ringing sound, while the recipient didn’t even receive a notification. 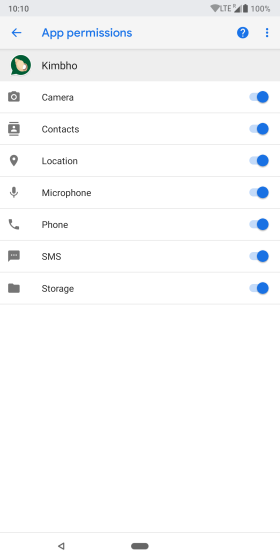 On top of that, the app enabled a bunch of permissions by default, taking access to the device’s camera, contacts, location, microphone, phone, SMS, and storage. Well known security researcher Elliot Anderson also raised concerns regarding the app and claimed that it didn’t even offer the most basic security measures to safeguard the user’s data. Despite Patanjali’s official announcement, the app’s tragic state led us to believe that it could be a fake. 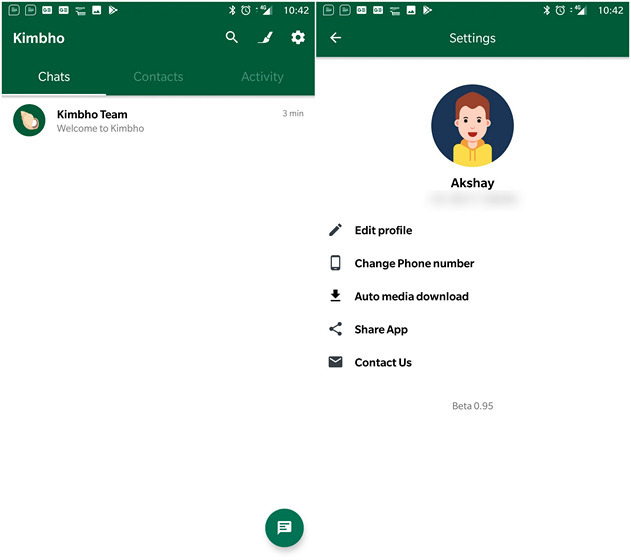 However, Patanjali’s spokesperson SK Tijarawala has now announced that the Kimbho app, which made a rather short appearance on the Play Store, was actually official and the initial release was just a test run. Tijarawala’s recent statement raises a number of questions about the Kimbho app: Why was the app released in such a sorry state, and what indeed was the purpose of a public test run? Secondly, why didn’t Patanjali initially clarify that the release was just a test run, or launch it under the early access program on the Play Store? We are also wondering since the app didn’t work at all, what was Patanjali actually testing? Kimbho installed with all permissions enabled by default, which is what you would expect from a low-quality app. As a result the app’s servers would have gathered a ton of data. What does Patanjali intend to do with the data they’ve already collected? We’ve reached out to SK Tijarawala and Patanjali regarding all of our aforementioned concerns, but we haven’t received a response yet. There are some serious security issues to be considered. If Patanjali’s claim that the test run managed to reach 1.5 lakh users is true, then that’s a whole lot of data, not far away from the number of Facebook users in India affected by the Cambridge Analytica breach. We will continue to follow-up with Patanjali and publish any updates as soon as we get any statement from the company.